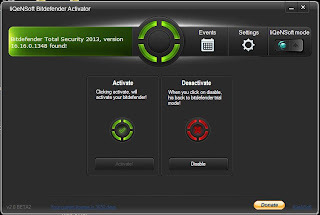 Now that we enjoy the convenience of having things done electronically, from mangaing finances to organizing documents, it has become all the more importaxnt to have your personal information and digital assests protected by a reliable antivirus service, such as the Bitdefender Total Security 2013. 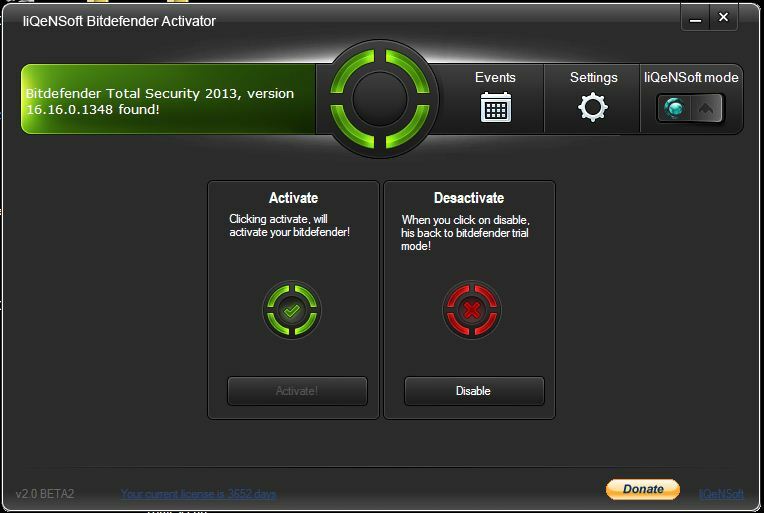 Ranked #1 in Antivirus software, Bitdefender is the winner of both CNET Editor's Choice and PCMag Editor's Choice. 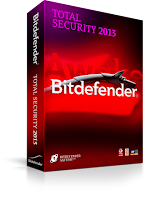 Bitdefender Total Security 2013 has an user-friendly interface which is easy-to-use. 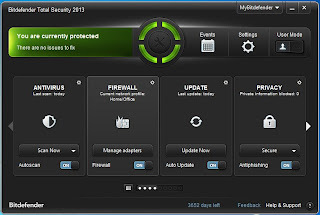 The high level of customization available in this security suite makes it a reliable choice or all the categories of users. 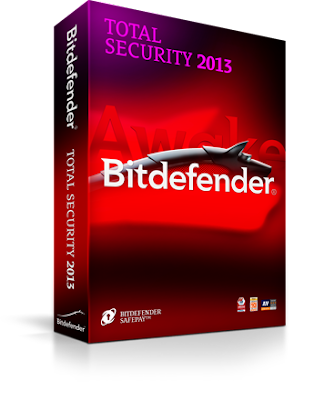 OS Compatibility : Bitdefender Total Security 2013 is fully compatible with Windows 8, Windows 7, Windows Vista & XP. 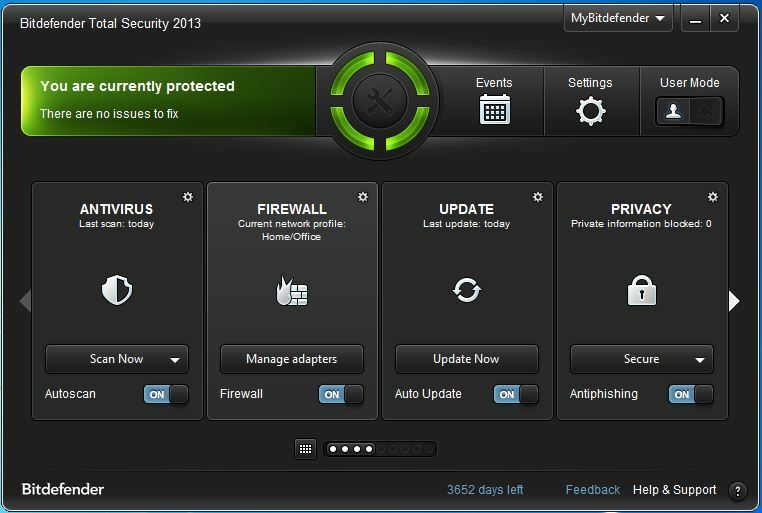 800MB free on the hard disk. 800MHz processor, infact Intel Core 2 Duo (1.66 GHz) will be better. 1GB of RAM or higher.